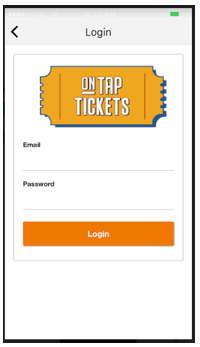 Download the free On Tap Tickets mobile app for your Apple (IOS) or Android device to easily check in attendees by either scanning the QR Code on their ticket OR by searching for attendee names (to then check them in with a single click). Checking in attendees to your event is FAST and EASY! ​Features also include real-time stats showing you how many tickets you've sold to your event and how many tickets you've checked in or scanned in. 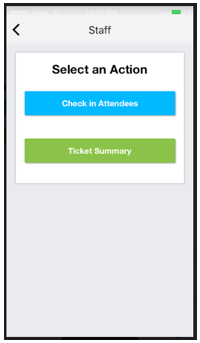 Any users on your account (whether 'Admins' or 'Staff') will have the option to log into the mobile app to check-in attendees to your event. (If you'd like a refresher on the difference between Admins and Staff and how to create them, please visit our User Management Support Page). ​Per the screenshots below, you'll see how simple the mobile app is to navigate and use. 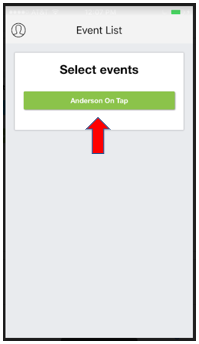 Simply have each Admin or Staff member use their account login information [email address & password] to also log into the mobile app (screenshot 1). 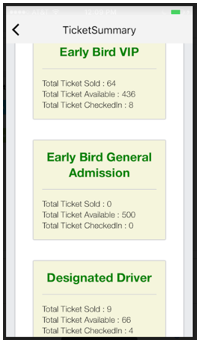 After they select the event, they can choose to either Check in Attendees or view a Ticket Summary (screenshot 3). 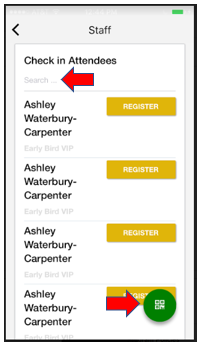 ​Per (screenshot 4), users can either manually search for an attendee name and then simply click the "REGISTER" button next to each name to check in the attendee, or they can click the green QR code icon on the bottom right of the screen to access the mobile QR code scanner to check in attendees. ​(Screenshot 5) and (screenshot 6 ) show the Ticket Summary section of the app. 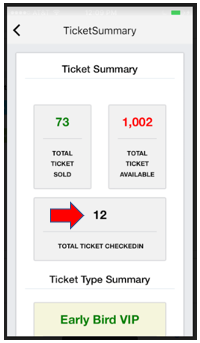 This is great to see how many tickets you've sold, but more importantly, it's great to see how many total tickets you've checked into your event so far, as this is updated in real time each time an attendee is checked into your event when using the app.